A blog (web log) differs from a website as the content/posts are displayed by the latest date of contribution, allowing readers to follow (via visiting the blog or subscribing to email notifications of updatesl) the latest contributions made by the author and then post their own comments about any contribution. Twitter is considered to be a microblogging service as it is limited to 140 characters. Watch the following video (opens in a new window) created by Common Craft to learn more about blogs. When used in educational settings, blogs are an effective way for students, teachers, parents and other family members to connect, collaboartve, share and access teaching and learning content online. Pictured below is a screenshot of a classroom blog. Note that the speech balloons indicate the number of comments made by other students or further contributions made by the blog posts' author. A group project by Year 5 students from Australia in the form of a blog: Grey Wolves. Teddy Bears Around The World is a junior years blogging project, created by Silvia Rosenthal Tosilano, that originally started in one classroom and then spread into many schools and classrooms worldwide. It is a valuable resource that allows students to see each other’s countries, customs and traditions through the eyes of the teddy bears and open their horizons through a more global perspective. Simply contact Teddy Bears Around The World with information about your school and teddy bear and to receive a username to participate on the blog. Increase student engagement in discussion and sharing of school work, both inside and outside of school hours. Train and promote eResponsibility and social networking behaviours. Instantaneously notify students, teachers, parents, and principals of student contributions, who can then access the work and then give feedback. Upload class work or homework. Replace traditional paper-based portfolios or PowerPoint based ePortfolios. Assist teachers and students alike in collating work samples for student-led conferences, as students can assign categories to their posts/content (e.g. "Student-led Conference Work"). Promote schools via making school, class and individual blogs accessible to the general public. Embed live multi-modal objects such as Twitter feeds (via plugins). preparing students for 21st century learning. As wikis are able to be edited by multiple users, questions as to the validity of the information contained on a wiki do arise from time to time (e.g. inaccurate information being added to a Wikipedia page). Wikis are now being used more commonly in primary and secondary school settings. Universities use wikis too but they are more often used to support students who are studying via online correspondence courses, as wikis can be used to promote collegial discussions and facilitate collaborative project work that may otherwise not be able to take place. 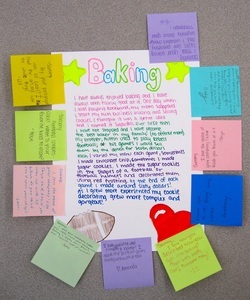 As discussed above, blogs are great for showing a chronological record of students collaboratively brainstorm. For example, in a blog a student can pose a question to the teacher or other students, who can then respond to that questions. Responses to the question will be time stamped and listed chronologically. Only the owner of the blog can edit their blog's content. 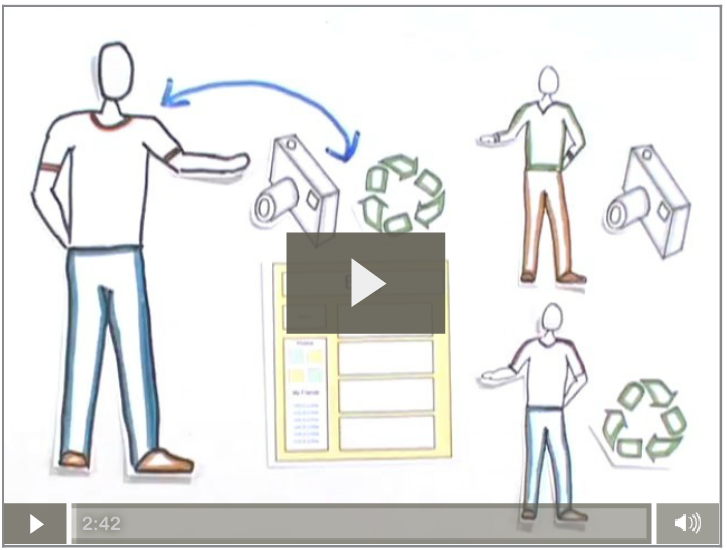 View the wonderful video below to learn more about the pros and cons of blogs and wikis. Who Will Be Blogging/Using The Wiki? (ii) Year or cohort levels? When teachers are preparing themselves and their students for blogging, some find it useful to first start by teaching "paper-based blogging". Paper blogging can be a valuable step in teaching responsibility and digitial citizenship skills before letting children make comments onto the internet. When paper blogging, students learn about the concept and skills of blogging via paper-based activities (pictured right). Click here to access and excellent resource created by a teacher on how to implement paper blogging in the classroom. Do you or staff have the ICT skills needed to navigate and interface with the back-end/dashboard of even the easiest of blog/wiki websites? Do your students have the ICT skills needed? Has the school got the required policies in place (see below)? As a matter of accountability and good practice, the principal must subscribe/be subscribed/invited to all classroom blogs/wikis (see this post). Copyright Policy: Teachers and students alike must be taught how to blog/wiki whilst respecting copyright laws (visit the 'Learning About & Respecting Copyright' section for all of your lesson needs). As a matter of privacy and for student protection, all blogs/wikis should only contain two pieces of information that can be used to identify a student (i.e. school name or class name, student first name, but not a student image - an avatar can be used instead). Is it the preferred option to open the blog/wiki to viewing by the general public general public (i.e. a potential global audience)? Can the blog/wiki password be given out to family and friends so they can view and subscribe to the blog/wiki? Many blog/wiki providers exist and choosing the right provider for your educational setting requires one to read many Terms and Services to ensure for the safety and retaining of ownership of student data and images. To assist schools in Victoria, Australia, The Department of Education and Early Childhood Development (DEECD) provide Victorian schools access to Global2. Containing many templates and a variety of security settings, education providers can readily set up a classroom Global2 blog and get students contributing and parents following within a matter of days. Click here to see an example of a classroom Global2 blog (password protected). Glogster - Provides schools and students with a more glamourous blog (glog) full of visually appealing multi-media interfaces. Wikia: Provides free wiki accounts but the wikis contain advertising pop-ups. Will students and parents embrace using the blog/wiki or reject it? Once all policies are implemented, and the blog is set up, inform the parents about the benefits (click here to download a letters to parents regarding the blog launch) and get them onboard! How will you ensure that the principal, staff, students and parents sign up to receive updates? Will you automatically add the email addresses of each to the subscribe feature or let them choose whether they subscribe themselves? Will students be able to blog on the run using their mobile phones or tablet devices by using apps such as Wordpress, Blogger or many more? Schools must consider permitting the embedding of social networking plugins to allow students to provide those who visit their blog or wiki the ability to "like", "tweet" or share their content via various other platforms, including LinkedIn and Google+. These plugins can be vital in promoting both student and school work to extend beyond the classroom and into their social network of family and friends. Posts made on blogs are automatically listed in reverse chronological order. Provide a website search engine (such as Google's Custom Search Engine). Provide a site guide for easy navigation of a large website (e.g. see The Age's Site guide). The Innovative Educator by Lisa Nielsen, a US librarian / literacy coach / technology innovation manager / director of digital literacy and citizenship.